An awareness of one's own reaction can lend oneself to a more playful attitude. This process can be done singularly but can easily prompt participation from others. Arlene Tucker has created a dynamic and evolving space for you to play and interact with her toys, stories, and images. Play Parts of a Whole exhibits several different activities for one to engage with which Arlene has persistently researched for a number of years. Drawn from her academic training in semiotics, professional toy design and reemerging art installation Translation is Dialogue, she raises awareness of one's environment, the process of understanding, and the impact the viewer has on the artwork. From todlers to adults, each person makes a mark with their playful presence. The building blocks on display are inspired by the power of abstract images that can jolt the imagination and the art of storytelling in unexpected ways. The paintings on display ask the viewer questions related to the images. These responses not only give personal insight to the paintings and potential to a tale yet untold, but will contribute to a book of documented oral histories that each image has instigated. The project, Pigeons Homing to the North, is about connecting one moment of participation to another through words sent by post. Your words will be the basis of inspiration for one to create a picture which will then be sent to somebody else. The process of translation is also a major theme in the project Direct the Dialogue. You will be astonished how one simple direction can be interpreted in a myriad ways and lead to boundless possibilities. Sound Stories celebrates the searching mind when trying to understand one another. 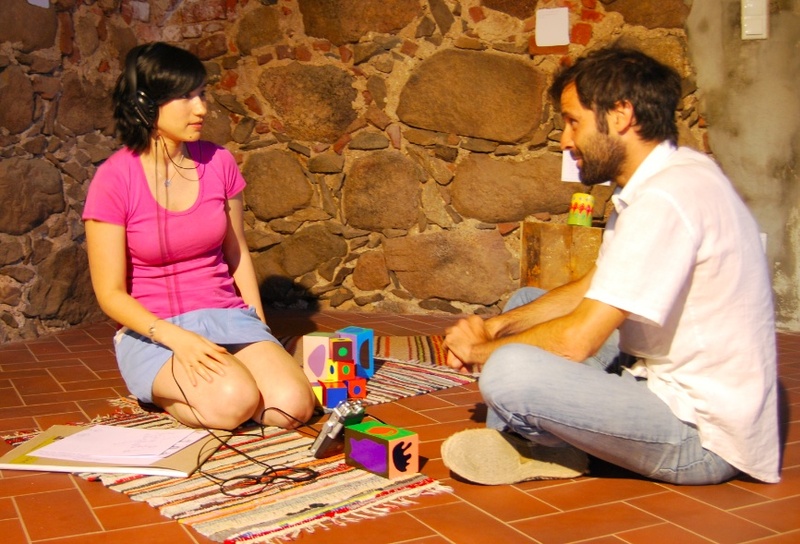 Multi-lingual stories are on display for listening or told on situ and recorded in real time. As you listen to a story told in an unfamiliar tongue, you may notice that you have an internal monologue as you have grabbed for familiar intonations, words, and gestures. In return, Arlene will tell you a story told in English or in Mandarin for you to feed off of her sounds. An awareness and rigorous investigation in our unique ways of perceiving is one way to understand ourselves and our collective wholes. These works come alive and grow with your presence and mediation. Please bring a postal address with you to the gallery space. The address can be anybody's- a loved one or just somebody you'd like to connect with. Pigeons will carry out the task for you.